“EUREKA!”, I cried, jumping from the bath. No, I hadn’t re-discovered the theory of displacement, but I had come up with an innovative solution to the climate crisis. From my bathroom window I could see a huge flock of seagulls squawking, swooping and beating their wings. Tens of thousands more live in the English coastal city of Brighton that I call home, attracted by fast-food munching tourists and our less than wonderful refuse service. Experimental high altitude kites are now generating renewable electricity – surely, we could do something similar here and power the world with 100% renewable seagull energy! The shortcomings of my idea soon become clear. Aside from the obvious practical and ethical issues, the fact remains that, whilst common in Brighton, seagulls are comparatively rare in the UK. Indeed, they’re ‘red listed’ with their numbers in decline. The dream of a seagull powered world, or even UK, was not to be. This bird-brained idea highlights a more serious challenge for decarbonising the global economy. Technologies that work well in one country or region of the world may not necessarily work so well in others. Some of these issues are obvious – solar power is much more effective in Spain than in Scotland – but others are more complex. Government structures, infrastructure, finance and even cultural norms can all help or hinder adoption of low carbon technologies. TRANSrisk is an EU Horizon 2020 funded project that aims to improve understanding of how transitions to low carbon economies could occur across diverse regions of the world. At the project’s heart are 14 country case studies, each focusing on a particular country and specific technologies or sectors. Each case study is working with relevant stakeholders to explore the potential, risks and uncertainties of the technology systems under the microscope. Some case studies focus on big, high-tech solutions. The UK case study, for example, focuses on the potential for nuclear energy. On the face of things, the UK is a good fit for nuclear. In 1956 the UK became the first county in the world to open a civil nuclear power station, and now operates a fleet of 15 nuclear stations. The UK Government wants to build up to 8 new reactors, and centralised control over the planning system gives them many of the tools needed to deliver on the policy. Yet even as the bulldozers roll for the first new power station at Hinkley Point in Somerset, nuclear expansion is under fierce scrutiny. One of the chief concerns is the huge cost: construction of Hinkley Point alone is forecasted to cost £18 billion. The power purchase deal agreed with the consortium building is expected to add an average of £10 to every annual electricity bill. Is this the best use of money, and will it ‘crowd out’ other low carbon options? The TRANSrisk UK case study will attempt to answer these questions and more. In contrast to multi-billion pound infrastructure solutions, TRANSrisk’s Indonesia case study focuses on the lower-tech area of bioenergy. One of the technologies under investigation is biogas. This may seem like an easy win for rural Indonesia: the basic feedstock is animal manure and the resulting gas is in many ways superior to the wood fuels frequently used for cooking in these areas. The technology, whilst often imported, is simple enough to be serviced on site by the farmers themselves. A better understanding of the country though reveals the challenge of rolling out biogas at scale. Indonesia’s complex governance system, coupled with the vast size of this archipelago nation, hugely complicate policy implementation. Indonesia is divided in 34 provinces, which are sub-divided into 491 autonomous regions; these autonomous regions are further split into 6,694 sub districts comprised of roughly 69,500 villages. Pushing policies from the top is clearly fraught with difficulty. Even with a clear policy direction, biogas implementation remains difficult. Supporting and training farmers to operate biogas plant is complicated by the nation’s huge scale – put simply, if anything goes wrong it is not likely to be fixed by a call to the support centre and next day delivery of a replacement component. 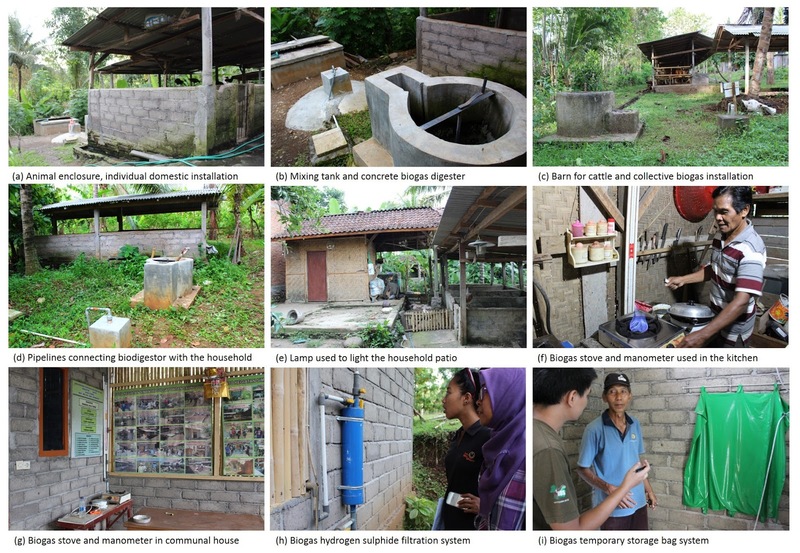 Even gender plays a role in support for biogas. Men normally make investment decisions in farming communities, but may not experience the full benefit of biogas investment – the time consuming collection of wood fuel is a task predominantly assigned to women. These two examples illustrate how the rollout of low carbon technologies can be far more complicated than first thought, regardless of ‘high’ or ‘low’ tech status. These complexities need to be understood before technologies can reach their full potential to cut carbon emissions. TRANSrisk’s work will give policy makers the evidence and tools to not only assess what technology works best and where, but also to consider the opportunities, risks and uncertainties of the options under consideration. I should end this post with a disclosure: I am currently the project manager, or administrative lead, for the TRANSrisk project. It is a huge pleasure to work with academic colleagues all around the world as they produce new insights on low carbon transitions and make progress on new tools for policy analysis and implementation. Sadly my avian energy plans (and a few other wacky ideas) have failed to impress them so far, but with the project due to run until August 2018 maybe, just maybe, there could be time for one last case study.